Description Yellowing. Scanned as B & W. East end of the Lake, looking West. Copy of 54b. 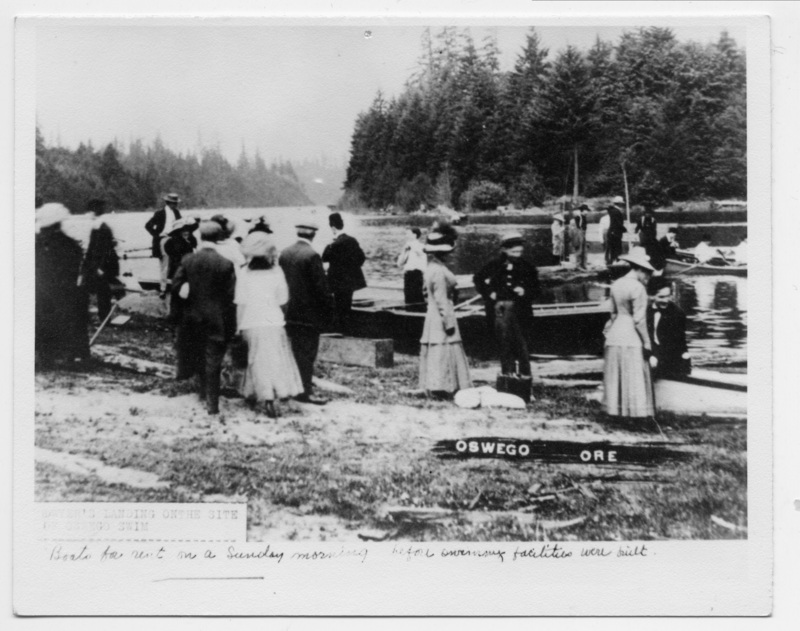 This area was known as Nelson's Boat Rental in the early 1900's. [Writing on front]: Dyers [?] landing on the site of Oswego Swim. Boats for rent on a Sunday morning before swimming facilities were built. Oswego Ore.